Home: Current News: Help WGO Raise Awareness for World Hepatitis Day 2015! Help WGO Raise Awareness for World Hepatitis Day 2015! 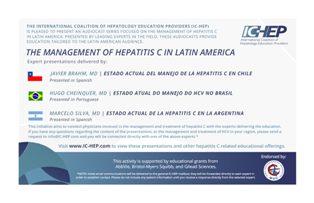 In collaboration with WGO, the International Coalition of Hepatology Education Providers (IC-HEP) created an audiocast series focused on the management of Hepatitis C in Latin America. Liver is highlighted at Gastro 2015 as one of the seven streams of postgraduate courses. 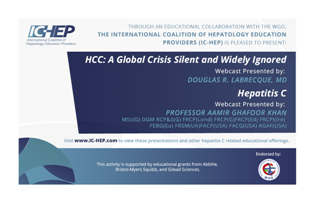 Featuring presentations such as "Viral Hepatitis - Epidemiology and Treatment," "Global Cure of Hepatitis C: Transmission Free by 2023?," and "Hepatitis B & Delta Hepatitis - Current Approaches and Future Challenges," it makes this congress a can't miss! Learn more about this exciting meeting at www.gastro2015.com.